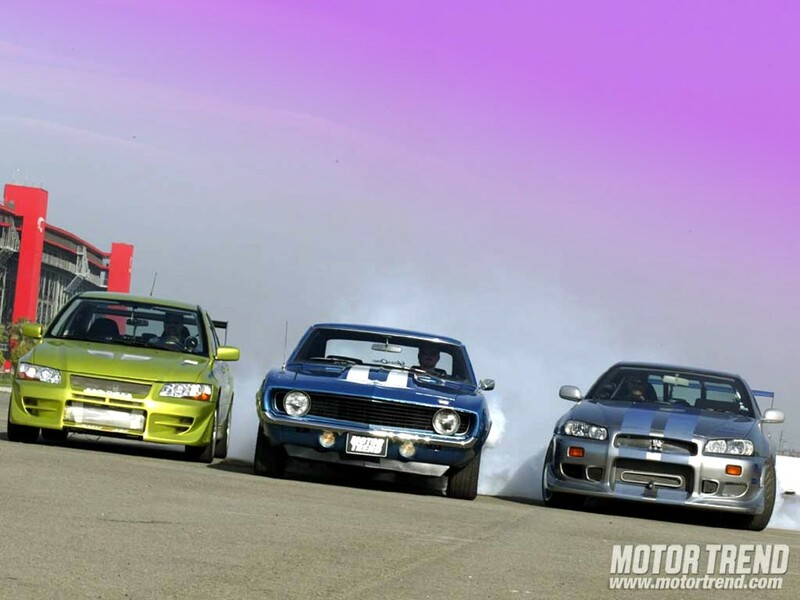 What Sponsor Wouldn't Love This? In the wake of Ryan Newman's victory at Indianapolis last week, many assumed that it was only a matter of time before someone with a high-level ride in Sprint Cup would snap up his services. After all, the former “Rocketman” was a marketable personality with a history of success at the Sprint Cup level. While he's hardly a young gun, Newman, at age 35, still has several years of his prime left. He has a sponsor in Quicken Loans that has indicated they'd be interested in following the driver if the price and team is right. Isn't that enough to get him a ride for 2014 and beyond? There are plenty of reasons why, despite his accomplishments, Ryan Newman hasn't landed a top-tier ride yet for 2014. Time of year is certainly a factor, something Dale Earnhardt Jr. noted in explaining why his own ride remains unsponsored for multiple remaining races. The lack of quality rides available also makes the market a difficult one for someone like Newman; he's one of several drivers with past success and an uncertain future. Some of those dominoes will need to fall before Newman knows what his market truly is. However, the main cause of Newman's situation lies not in what Newman can offer a new team but instead what teams are looking for. His plight is similar to that many mid-level teams in the stick and ball sports and numerous examples come from the NBA's most recent off-season. The NBA, like NASCAR, has multiple hierarchies among its teams. 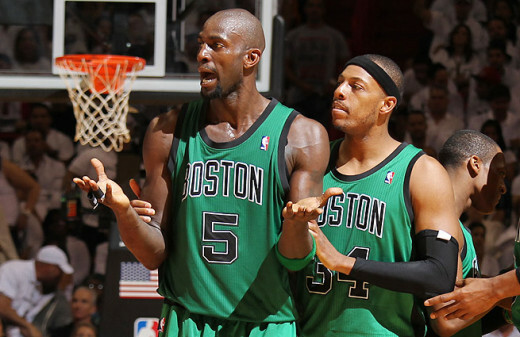 There's an elite level of championship-caliber teams. 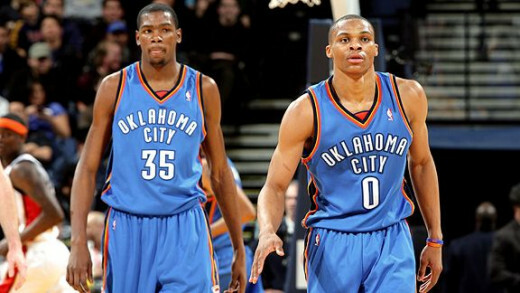 They have multiple superstars and can be considered a threat to win the title (think the Miami Heat and the Oklahoma City Thunder). There's a second level of teams that are almost there. They have experienced some success and may well be just a move or two away from joining the elite teams (think the Brooklyn Nets or Indiana Pacers). The vast majority of the teams lie below these two levels. They enter their off-season with essentially two choices. They can either add what talent is available and struggle mightily to earn the right to be swept by Miami in a first round playoff match-up. Or they can admit that what's there isn't enough, blow it up, and rebuild around newer players who have not yet reached their potential (a strategy illustrated by the Boston Celtics this past year). How does this apply to NASCAR? Like the NBA, there is a strong hierarchy of teams in today's NASCAR. You have teams such as Hendrick Motorsports or Joe Gibbs Racing clearly at the top of the food chain. One step down, you have teams such as Richard Childress and Michael Waltrip Racing. They've shown speed at times but lack the depth and consistency of the best teams. One could argue that Stewart-Haas Racing, with its wins and 2011 series championship, belongs at that level as well. And if that's true, they believe that they're one key addition away from becoming a dominant force at the Sprint Cup level. If you're Tony Stewart and you have the opportunity to choose between Ryan Newman and Kevin Harvick, the choice really is a no-brainer. 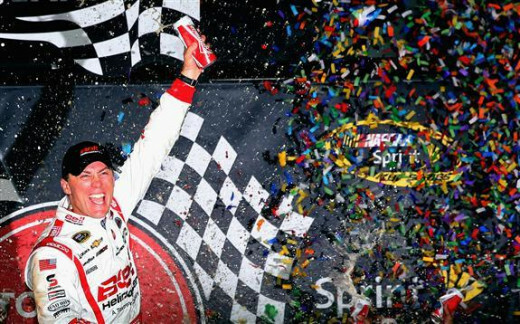 Over the last four years, Harvick has averaged 2.5 wins, 8.75 top fives, and 19.75 top tens per season. His average finish is six spots higher than his average start, meaning that Harvick is consistently moving forward over the course of a race. He's accomplished this despite driving for RCR, an organization with a rich history in the sport but whose equipment is clearly a notch behind that available at Hendrick Motorsports. Hendrick, it should be noted, is closely aligned with Stewart-Haas racing in both equipment and technical information terms. During the same timeframe, Newman average 1.0 wins, 5.75 top fives, and 13.75 top tens a season. Not bad, by any stretch of the imagination. But not as good, either. Moreover, Newman's average finish, unlike Harvick's, is consistently lower than his start (by close to three places per race). Finally, sponsorship still matters. Harvick brings to the table a season-long sponsorship from Budweiser. Bud has been a fixture in NASCAR for decades and is a recognizable on-track brand for fans new and old. Fellow SHR driver Danica Patrick also has a season-long sponsorship inked through the end of 2014 with GoDaddy. While not as prestigious as Budweiser, GoDaddy is synonymous with Patrick and the willingness to commit to a team for an entire season is rare in today's NASCAR. The stability of those two partnerships allows SHR to spend its marketing time and dollars building relationships with associate sponsors and creating opportunities down the road. Newman, on the other hand, has a partial-year commitment from Quicken Loans and little else. Since moving to SHR, he's had a host of sponsors on the side of the car and none aside from Quicken are likely to be a part of the Newman plan beyond 2013. Newman is facing the difficulty of being firmly stuck in the middle. He's a good driver without question; you don't win 17 races in 13 years at the Sprint Cup level unless you have some talent behind the wheel. But he's clearly reached his ceiling; at 35 years of age and no history of championship contention, Newman isn't going to suddenly discover the ability to do so. He hasn't won more than a single race or had ten top five finishes in a season since 2004. 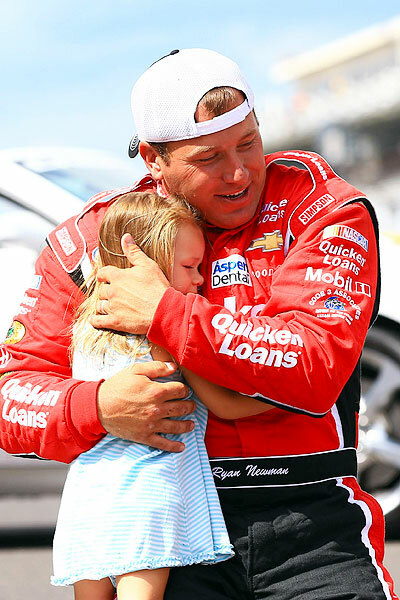 So if you need someone to make your team respectable, Ryan Newman is your guy. But if you want someone to put you over the top, he simply hasn't shown the ability to do that. He's done a great job in helping to launch Stewart-Haas Racing. He's not going to win a championship there even if he had a contract for the next ten years. Whether or not Newman understands this is another story. No true racer wants to admit that they don't have the talent to win a championship. 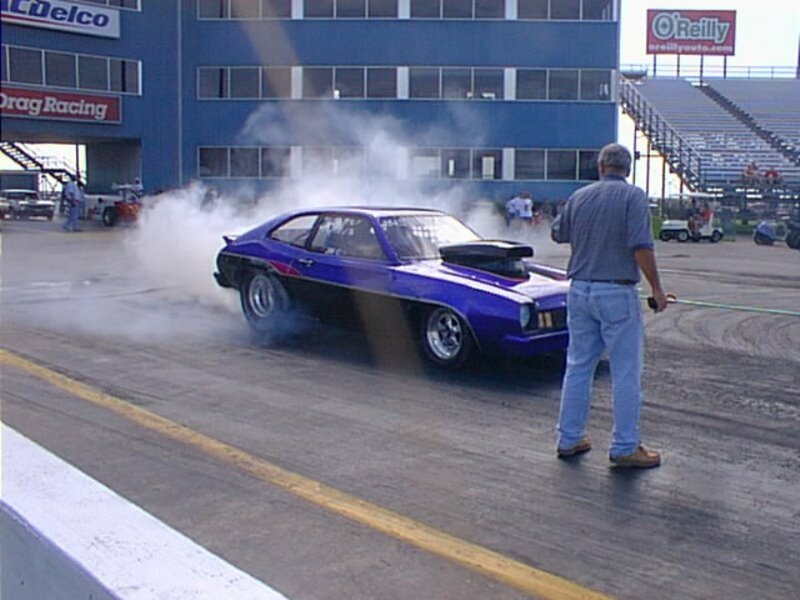 Anyone worth their firesuit thinks that they are the best driver on the track every time they fire up their engine. So for him to be patient in looking for a ride with a top team is understandable. Maybe the sponsorship will come together to let him join RCR and mentor the Dillon boys. Maybe he re-joins Penske Racing as the veteran driver to round out their lineup. In theory, any number of organizations have the room to add a car under the current four team limit. In practice, however, Newman will need to bring a season's worth of sponsorship and the right situation to make that happen. The struggles of SHR (and RCR, in the past) came in part by adding a team that the organization didn't have the staff to adequately support. It's one thing to have the dollars to add another team. It's another to have the ability to churn out enough high quality engines, chassis, and pit crew members to make that team competitive. While there are plenty of talented individuals still looking for work in NASCAR, there's a reason why they aren't employed right now. Money alone doesn't create the ability to expand (although it IS a necessary precursor). 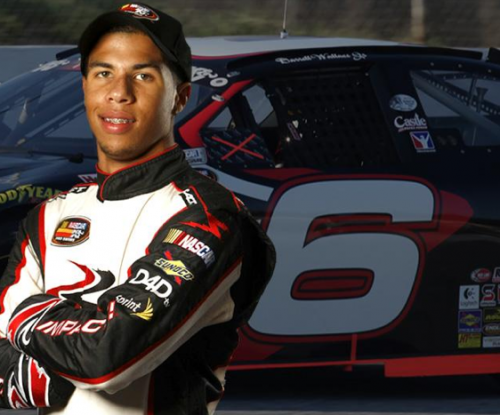 Bubba Wallace, Future NASCAR Star? Finally, there are a number of talented drivers running on NASCAR's second and third tier series today. From Austin and Ty Dillon to Chase Elliott to Bubba Wallace to Kyle Larson, the next generation of NASCAR drivers is pounding on the gate. NASCAR desperately wants to identify and elevate younger stars and they've spent real money in the developmental program. Teams, meanwhile, are trying to find the next Jimmie Johnson-Chad Knaus-Lowe's combo. They want to find a young driver/crew chief and sponsor to build a long-term relationship with. The advantages of a young driver are numerous; lower costs, lower expectations, less baggage, and the ability to connect with a younger audience. With the right sponsor it's a win-win situation for the teams. 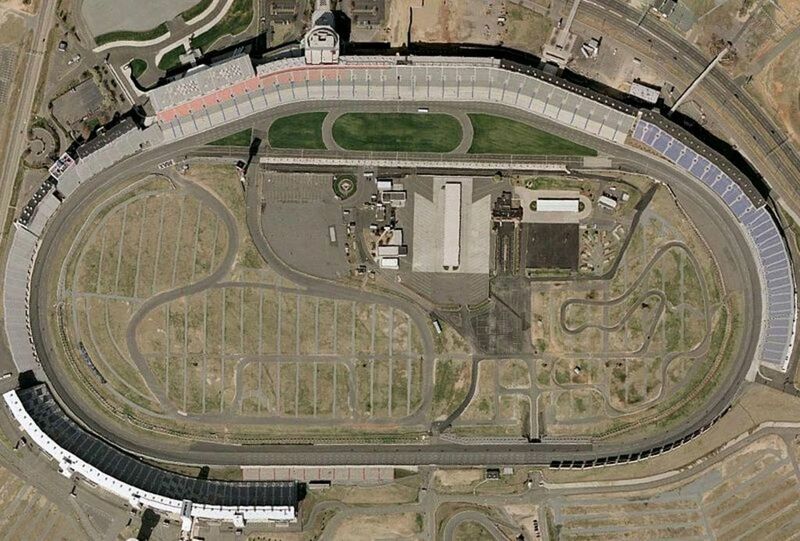 That's what Ryan Newman is up against in trying to land a ride for 2013. He's had success as a Sprint Cup driver and he may well make the Chase for the Sprint Cup as a lame duck. But he has some major work to do if he wants to contend for a championship in 2014. Sponsorship will help; he doesn't need to find someone to fill out the entire calendar. Luck will help too. Most of all, Newman needs to find the right situation or else he may well find himself as Bobby Labonte without the past champion's provisional. Both he and NASCAR deserve better. 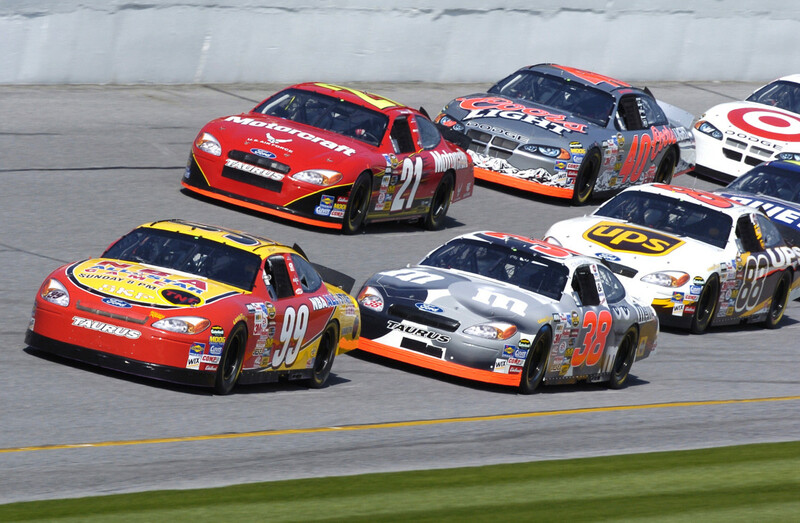 Where will Ryan Newman be driving in 2014? How could you possibly state that in the next ten years he wouldn't win a championship? He finally now has a CC that he speaks the same language as him and that he connects well with and a team that is not far behind in terms of performance. This is the first time at SHR he has EVER had that. Earlier in the year the performance was awful and he was still getting top 10s when he wasn't having tire failures or engine failures. He has been the best SHR call all season and without horrible luck (5 DNFs with only one of them being any fault of Newman's) he would be near the top of the points. Shoot, even if he had 3 DNFs right now, which is more than most drivers, he would be a lock for the chase. Newman has been the one carrying the team all season and with Borland, that success will just grow. Remember, Tony Gibson had never won a race as CC before Newman was driving for him. Harvick is THE GUY at Childress and has had stability in his organization and stable sponsorship. He is a great driver but the gap between him and Newman, with all things equal, is small if anything at all. DSM- No, haven't compared notes with Rusty on this and wasn't aware of his comments on the subject. 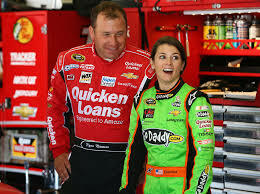 I don't see Ryan Newman as "lame", just that he's a lame duck for the remainder of the season because no matter what he does, he won't be back with Stewart-Haas next year. There's a certain amount of freedom under those circumstances as Newman can go for broke, knowing that it's not going to cost him this particular ride. Thanks for your comments, and thanks for reading! Do you and Rusty Wallace compare notes? He just won Indy and was 4th at Pocono. I don't call that "lame". What nobody talks about is the fact that Gibson should have been gone after the 1st year. Now, he and Matt are trying to get the "magic" back, but it's been 5 or 6 years since Matt was a crew chief. New Gen 6 car and Zippy telling everyone they were behind on getting all SHR the right equipment. They started this year with a young, inexperienced team whose trying to work out the "bugs". What nobody talks about is the fact that Newman is a multi millionaire and really doesn't have to work again. I say put Ryan in the 42 and call the Montoya experience over.